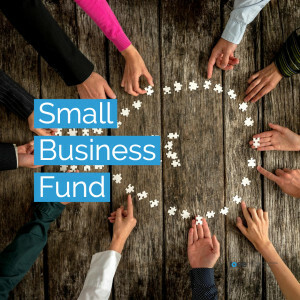 In a speech to the CBI on the 26th June Small Business Minister Andrew Griffiths unveiled a new £8m fund to boost the productivity and performance of small businesses in England. Boosting national productivity and increasing workers’ earning power forms a key part of the Government’s modern Industrial Strategy and the Business Basics Fund, run by BEIS in partnership with Innovate UK, will help businesses, charities, trade organisations and public sector organisations support small businesses in adopting tried and tested technologies and management techniques. Once the projects are launched, the Government will then work with leading experts to evaluate the effectiveness of each project in boosting productivity, helping to inform future policies. Research from the CBI suggests that by encouraging more businesses to take advantage of leading technologies, management practices and business support services – such as cloud computing, mobile technology and e-purchasing – the UK economy could receive a £100 billion boost and see a 5% reduction in income inequality. Small Business Minister Andrew Griffiths said: “Small businesses are the backbone of our economy, with more than 1,000 new businesses starting up every day, and it is vital that we support them to grow through our modern Industrial Strategy. “The Business Basics Fund will test new and innovative ways of supporting small businesses to take advantage of technologies and management practices – giving small business leaders the tools and support they need to continue to thrive.” Matthew Fell, CBI UK Chief Policy Director, said: “Put simply, UK businesses must do more to improve their productivity to get themselves match fit to compete globally in the years ahead. Low uptake of the nuts and bolts technologies of today is a key feature of the productivity puzzle that can, and must, be tackled.